The New Entrance Sign, in place June 2015. Bloom time is only a week away. The Barn under construction summer, 2013, by Vanderstelt Construction. 2018 will be the fifth year that we are open for sales in Beamsville. We moved a lot of plants from Lowbanks to the gardens at Beamsville in 2013 to 2016. Moving leads to unknown effects � some plants do better and some do not. So we had some daylilies that were stressed, but they are well established now. We have continued planting about 2,000 seeds each year, so there are now over 6,000 new seedlings growing at Beramsville. The summer of 2017 had the most spectacular daylilies bloom ever in our gardens. This year we expect great bloom from the 2,000 we planted last year. Come in July and see. 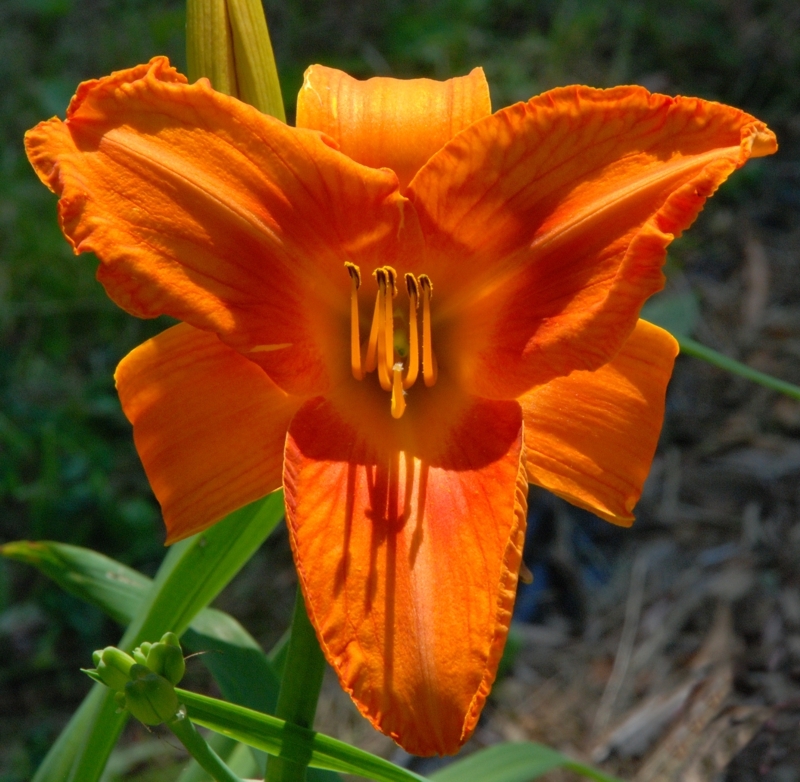 Our Daylilies are Yellow, Red, Purple, White, Gold, Orange, and many many combinations of those colors. 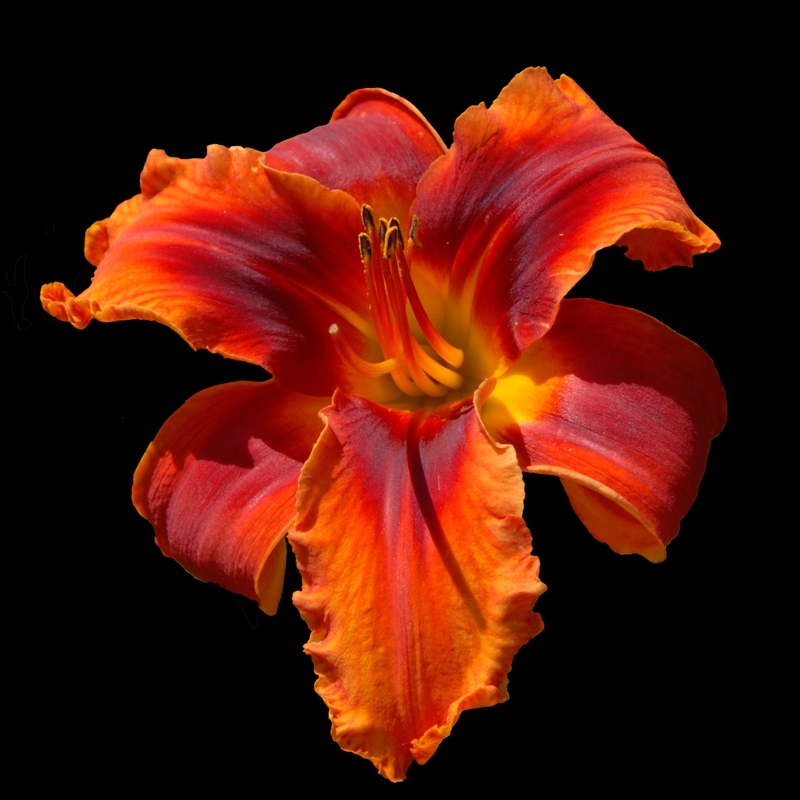 I have been aiming for large brightly colored flowers and we have some 8 inches in diameter that shine from a distance in brilliant reds, oranges, and/or purples. Others are only 3 or 4 inches in diameter. Some are round, some are like spiders, and there are many different shapes. Some are short - about 12 inches high, and many are 3 feet to 4 feet tall. We have a wide variety and every day different ones will be blooming. Prices will range from $20 per plant up to $500 per plant. Registered daylilies cost more. 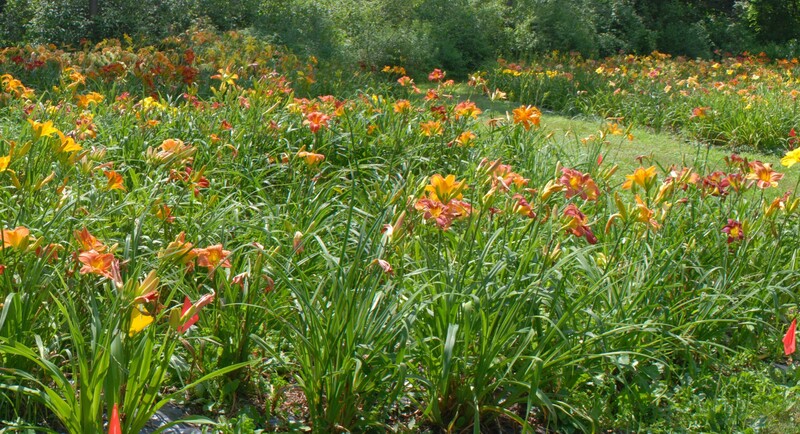 Non registered daylilies are excellent plants, but not ones we plan to keep for future hybridizing and so they cost less. We have many rows of seedlings that are not for sale for at least two more years. Sorry. Please enjoy looking at them, but until we have had time to evaluate them fully we do not sell them. 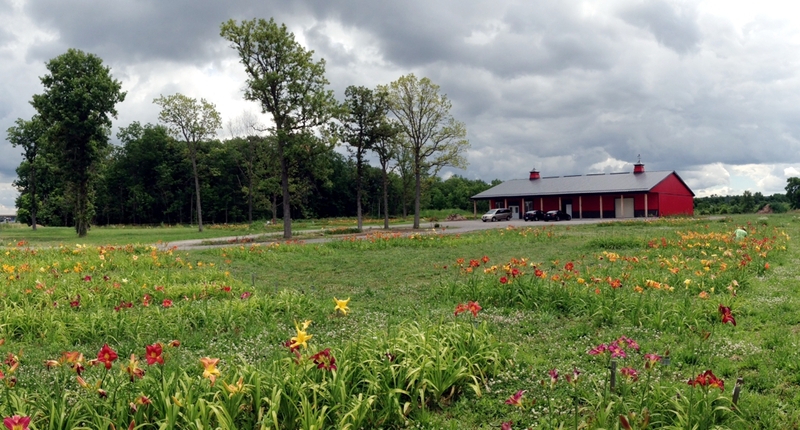 Dynamic Daylilies is in Beamsville, at 4500 South Service Road, just east of the Beamsville exit from the QEW. If we are busy we may be open longer. 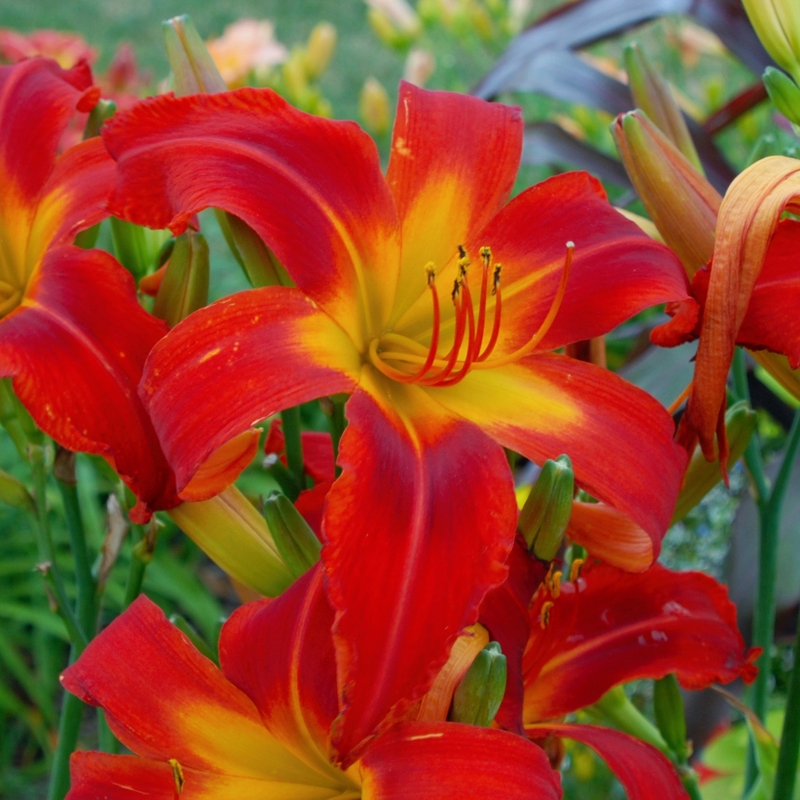 We have been hybridizing daylilies since 1995. Many of our seedlings are 6th or 7th generation from our lines. We have been crossing older varieties with newer ones, aiming for large, bright colored flowers that are hardy in Ontario. In 2007 we moved all of our plants from three gardens in Mississauga to our Lowbanks property, where we have about 1/2 acre of our seedlings growing there. We have expanded from a hobby to becoming a business. We opened our new garden in 2014 and hope it will be easy to find and beautiful to see. We plan to be providing unique Ontario Hybrids for many years to come. For the Lowbanks Gardens, we have not used pesticides or fertilizer and rarely watered the gardens. At the Beamsville Gardens, we will be using some pesticides and are setup to handle watering through the dry times of the summer. We began adding mulch to the gardens in 2016. It mainly helps fertilize the plants the next summer and reduces the weeds. It is not necessary of your soil is reasonably good. If the plant does not survive under poor conditions, I really do not want it. We try to avoid anything that takes time or effort. Many bought plants from southern hybridizers do very poorly in our gardens, yet ours do very well. So if you care for the plants, you are likely to get larger flowers and more buds than we do. Due to the climate here, many of our plants propagate slowly. We have tried to use tissue culture to speed up how quickly we can sell our plants. 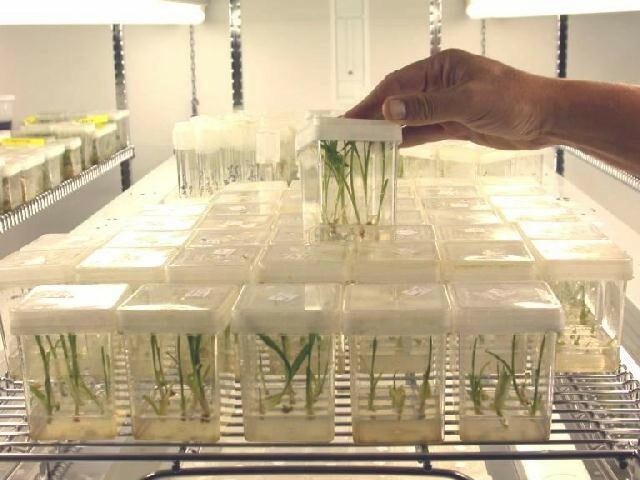 Generally the tissue culture plants are somewhat different than the originals, and the production of 100 tissue culture plants still takes about 3 years. So it is faster, but not enough for the cost. 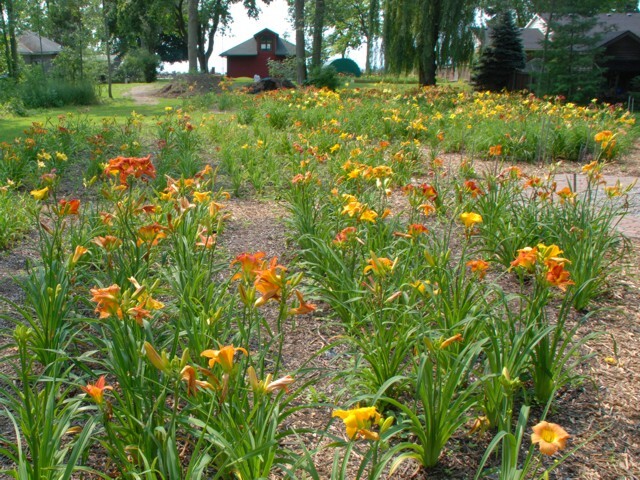 We are still working on other ways to propagate Daylilies rapidly in Canada.